Nigeria President Muhammadu Buhari don set up audit committee to chook eye inside everything wey government don recover as loot till April 2017. Di committee get three members, Olufemi Lijadu, Gloria Chinyere Bibigha and Mohammad Nami. Dem go report back give President Buhari in four weeks time. President Buhari talk say im don first ask all di government agency dem to submit all dia report ontop wetin dem don recover till March 2017 give am. 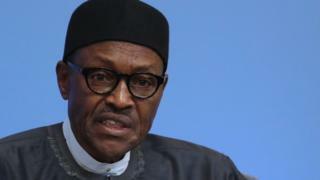 Buhari tell all di government join bodi, bank and company to cooperate with di committee people dem. Di join bodi for money offence matter; Economic and Financial Crimes Commission and di Ministry of Finance, dey part of di government bodi dem wey don recover loot. June 2016 na di last time wey Nigerian government publish di record of wetin President Buhari government don recover between 29 May 2015 to 25 May 2016, including di money and property wey dem seize or collect in di mean time. Di total dat time na like 3.4 trillion naira. Dis one no include di 115 billion naira wey government been dey expect from Switzerland, Britain, America and United Arab Emirate. Since den too Nigerian government don recover more loot both for property and money.